Irena Sendler passed away on Monday May 12th, 2008 at 8:00 am CEST in Warsaw, Poland. A funeral service was held on Thursday, May 15th at noon CEST in Warsaw. Memorial services were held in numerous places around the world, including Fort Scott, KS. The life of Irena Sendler was one of great testimony, one of courage and love, one of respect for all people, regardless of race, religion and creed. She passed away peacefully, knowing that her message goes on. Our hearts and prayers go out to her worldwide family. She is gone, but will never be forgotten. Born in Warsaw, Poland, she lived most of her young life in Otwock. 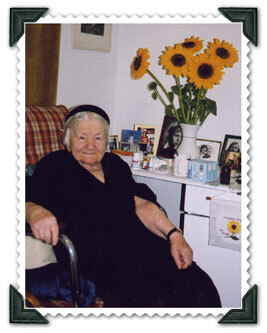 Irena Sendlerowa led the rescue of 2,500 Jewish children from the Warsaw Ghetto and those hiding in the Warsaw area, during the Holocaust in World War II. She was nominated for the Nobel Peace Prize. Her legacy of repairing the world continues, as good continues to triumph over evil. 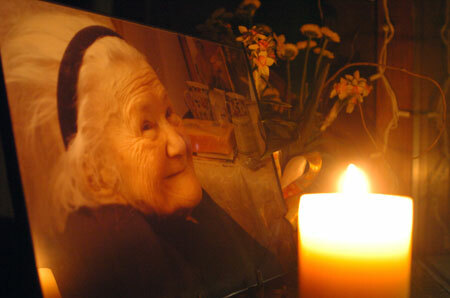 Irena Sendlerowa was 98 years old. The Life in a Jar students, who brought worldwide attention to her story, continue to share her legacy and the play (Life in a Jar) to people all over the world.